There are approximately 7,000 high school-age teens in San Diego; however, less than 10% of these teens are connected in some way to their Jewish identity. This means we have more than 6,000 teens who are less linked to Jewish communal life and who are less equipped to sustain a vibrant Jewish presence in generations to come. To sustain our community and Jewish identity into the future, these teens need to be connected with San Diego County’s community. Through our Community Teen Initiative, we will engage 2,800 Jewish teens annually by 2020. This will be accomplished by building on San Diego County’s long tradition of civic engagement and community service. This initiative will foster the growth of strong, existing programs that offer opportunities for volunteerism and Jewish service learning, as well as develop new, large-scale community-wide service programs designed to connect Jewish teens across the county and its demographics. Because being a member of the Jewish community extends beyond the borders of San Diego, Federation has launched the My Israel Journey: San Diego Teen Travel Subsidy program. 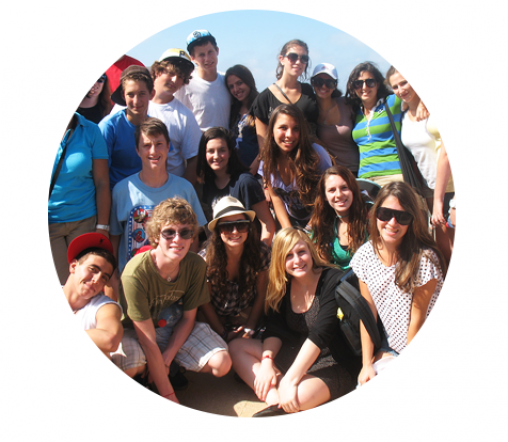 My Israel Journey promotes travel to Israel by offering teens incentive grants. Participation in a substantive peer-based Israel experience during a teen’s formative years can help to build a strong and lasting Jewish identity. Currently, only about 2% of Jewish high school teens travel to Israel each year. Of these teens, 70% reported a better understanding of Israel, and 60% said they felt a deeper connection to the San Diego community. This is why our initiative aims to send 850 teens to Israel during the next five years to help them build stronger connections in both Israel and San Diego as part of a unique learning experience. Through donor support, a five-year matching grant of $3 million from the Jim Joseph Foundation and in partnership with the Lawrence Family Jewish Community Center, Federation is collaborating with synagogues and communal organizations throughout the county to achieve the initiative’s goal of offering programs that will encourage and foster teen relationships with the Jewish community here in San Diego, in Israel, and around the world. 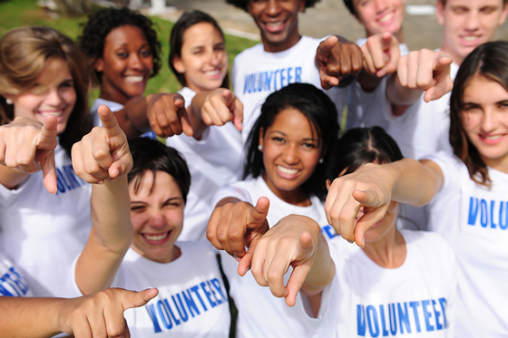 No matter your motivation, Motiv is dedicated to connecting high school students to meaningful volunteer service in San Diego. Every month Motiv will spotlight six service opportunities that have been vetted by teens for teens. Motiv will maximize your impact by connecting you with the best opportunities in the city. Read about Federation's recent win of the Jim Joseph Grant! Federation and our partners across the globe offer a multitude of travel opportunities for San Diego teens!